Sweet and sassy! 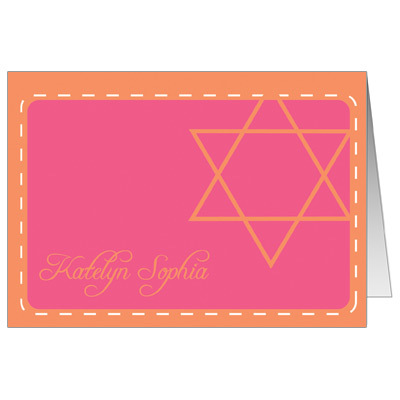 Decked out in modern shades of pink and peach, this Bat Mitzvah thank you card is fun and sophisticated. Folded note card measures 3.5x5.